Pune : Axis Bank inaugurated its 4000th milestone branch at Eon, Kharadi in Pune. The new branch was inaugurated by Amitabh Chaudhry, MD & CEO, Axis Bank and Ravi Narayanan, President & Head Branch Banking, Axis Bank. Through this new branch, the Bank will offer its customers a comprehensive range of banking services like savings and current accounts, deposits and loans, locker facilities, etc., along with digital solutions. Amitabh Chaudhry, MD & CEO, Axis Bank said that, "Branch Banking is an integral part of our growth strategy, and we believe that our branches will not only help in deposit mobilisation from new customers, but also act as a core driver of the Bank’s acquisition strategy across products. We expect branches to continue playing a crucial role in the new scheme of things. Every branch gives us the unique opportunity to interact with our customers closely, understand their priorities and deliver localised services." As on December 31st 2018, around 17% of the Bank’s branches are in rural areas and 78% of the Bank’s rural branches are in unbanked locations. The domestic loan growth stood at 18% YOY, while the retail loan book grew 20% YOY. The Bank’s Savings Account Deposits grew 15% YOY and CASA Deposits grew 17% YOY and constituted 46% of total deposits as at the end of 31st December 2018. 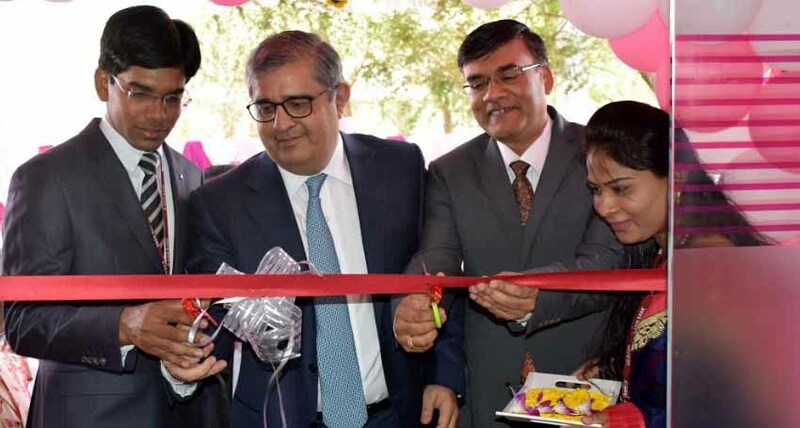 Ravi Narayanan, President & Head Branch Banking, Axis Bank said, "Pune has been the hub for a lot of business activities, including that of SMEs, Engineering and Auto Ancillaries and we see good probability of these businesses growing multi-fold. In line with the growth potential and customer requirements, we continue to add Bank branches at a steady rate. In the last two financial years, we have opened 15 Branches in Pune district adding up to 71 branches in the city, out of which 4 are in the rural areas."